Take Advantage of What a Twitter Marketing System Has to Offer For Your Business! 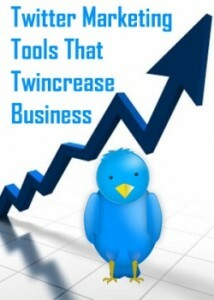 Home » Take Advantage of What a Twitter Marketing System Has to Offer For Your Business! If you are a business owner, then you have most likely heard about social media marketing through Twitter. Having a Twitter marketing system in place will offer many advantages to your business. However, if you are like most other people, then you have no idea how to leverage the potential power of Twitter to your business. At Webati, we can provide you with a Twitter marketing system that will take the guesswork out of it for you. We will use this system to create the results you are looking for…targeted driven traffic that is looking for the exact products and services that your business has to offer. When it comes to implementing a Twitter marketing system, we actually recommend that you have two different Twitter accounts. This will enable you to create a buzz surrounding your business that you would not be able to do with just one account. This will assist you in forming better relationships with potential clients, ensure that your messages are read by the right people, and most importantly, that potential clients are motivated to take action. This is just the beginning of what a Twitter marketing system from Webati will have to offer for your business. The services that we offer also include ongoing maintenance of your Twitter account. We will take care of it all, from Tweet syndication to the tweeting of unique links to community building and much, much more. Twitter is one of the fastest growing social media platforms in the world today. Its usage is going to be especially important for your business as an increasing number of people use their mobile smartphones to make more and more purchases. We can help you make a Twitter marketing system a part of your overall marketing strategy. Just give us a call today! We look forward to working with you!